The Town of New Cas­tle shares a bor­der with eight towns and one vil­lage. The com­mu­ni­ty is geo­graph­i­cal­ly posi­tioned in close prox­im­i­ty to New York City and being one of 45 munic­i­pal­i­ties with­in Westch­ester Coun­ty, there are many region­al forces that affect the liveli­hoods of those who live, work and play with­in the Town’s bor­ders. It is impor­tant to rec­og­nize that the bound­aries of the Town define a gov­ern­men­tal enti­ty but in many respects have lit­tle rela­tion­ship to the phys­i­cal fea­tures and mar­ket forces that dri­ve the econ­o­my and direct the devel­op­ment of the region. The bound­aries divid­ing New Cas­tle from sur­round­ing munic­i­pal­i­ties are tra­versed by fea­tures such as roads and oth­er infra­struc­ture, water­sheds and nat­ur­al habi­tats. New Cas­tle encom­pass­es six dif­fer­ent school dis­tricts and sev­en dif­fer­ent zip code areas. The Tacon­ic State Park­way, Saw Mill Riv­er Park­way and Metro North Railroad’s Harlem Line con­nect New Cas­tle to the sur­round­ing munic­i­pal­i­ties of Pleas­antville and Mount Kisco, White Plains, the Hud­son Val­ley, and the New York City met­ro­pol­i­tan region at large. 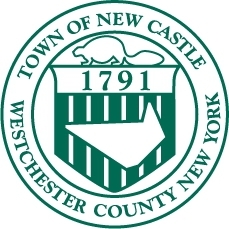 Giv­en the num­ber of munic­i­pal­i­ties sur­round­ing New Cas­tle, the Town’s loca­tion in north­ern Westch­ester and its prox­im­i­ty to New York City, the Town’s plan­ning and devel­op­ment efforts are sus­cep­ti­ble to the same influ­ences dis­cussed in the TDP regard­ing land use pat­terns, envi­ron­men­tal pro­tec­tion, park and open space plan­ning, water qual­i­ty and sewage plan­ning, hous­ing and trans­porta­tion. At the same time, New Castle’s loca­tion gives its plan­ning and devel­op­ment efforts height­ened impor­tance in the region. As such, the Town’s future growth can, to a sig­nif­i­cant degree, be shaped by region­al devel­op­ment pres­sures and by oth­er local, Coun­ty, State and Fed­er­al devel­op­ment poli­cies and plans. Plan­ning pro­grams and poli­cies cre­at­ed dur­ing the last decades of the 20th cen­tu­ry and as enu­mer­at­ed in the TDP helped to estab­lish a region­al plan­ning frame­work that con­tin­ues to influ­ence local plan­ning ini­tia­tives. Today the Town is work­ing with­in this frame­work to address hous­ing pol­i­cy, envi­ron­men­tal pro­tec­tion, infra­struc­ture improve­ments and trans­porta­tion plan­ning with the under­stand­ing that progress made in any of these issue areas will require coop­er­a­tion and the for­ma­tion of col­lab­o­ra­tive part­ner­ships between the Town and rel­e­vant Fed­er­al, State, region­al and local stakeholders.